UNWTO Headquarters in Madrid hosted the presentation on Tuesday of two Spanish stamps commemorating the International Year of Sustainable Tourism for Development 2017. The United Nations declared 2017 as the International Year of Sustainable Tourism for Development, highlighting the potential of tourism to be a pillar of a sustainable, inclusive and equitable future for all. 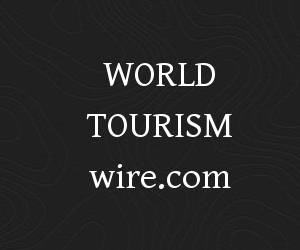 UNWTO Secretary-General Taleb Rifai recalled that the Year aims to inspire change among all those involved in tourism, including tourists themselves, so that they are mindful of their role in travelling with respect for cultural heritage, the environment and the hosts that welcome them. “This stamp is one of the key tools to reach all those traveling in Spain and engage them in making a positive impact. We are extremely grateful to the Spanish government and to Correos (the Spanish National Post Office) for this initiative”, said Secretary-General Rifai. “It is always a pleasure to present a new stamp but, in this case, my gratification is greater because these stamps are dedicated to tourism, one of the most important emblems of our country,” underlined Javier Cuesta Nuin, President of Correos. With a circulation of 14,000,000, the stamp will promote responsible tourism among Spaniards and the millions that every year visit Spain.